See parts 1-13 also for earlier works. 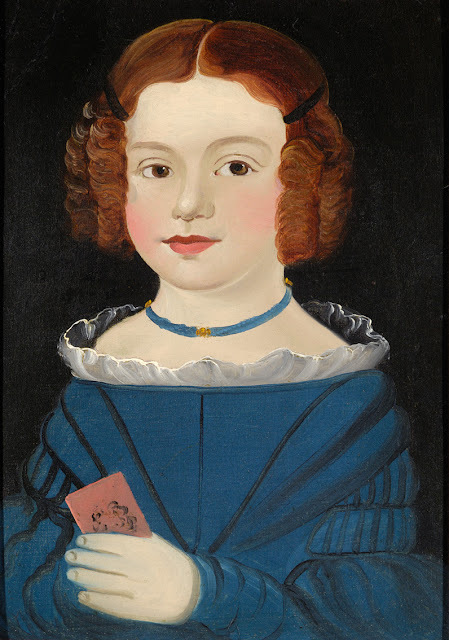 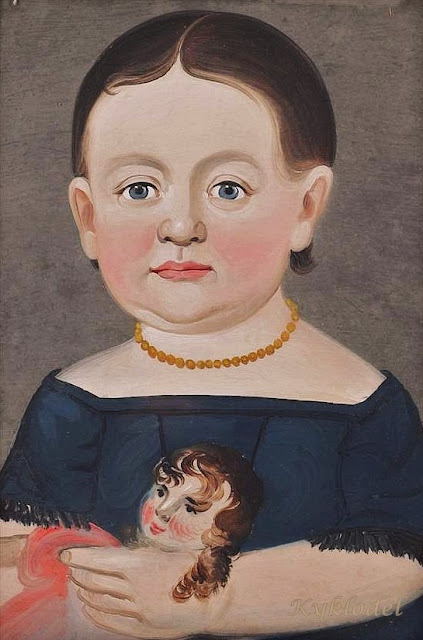 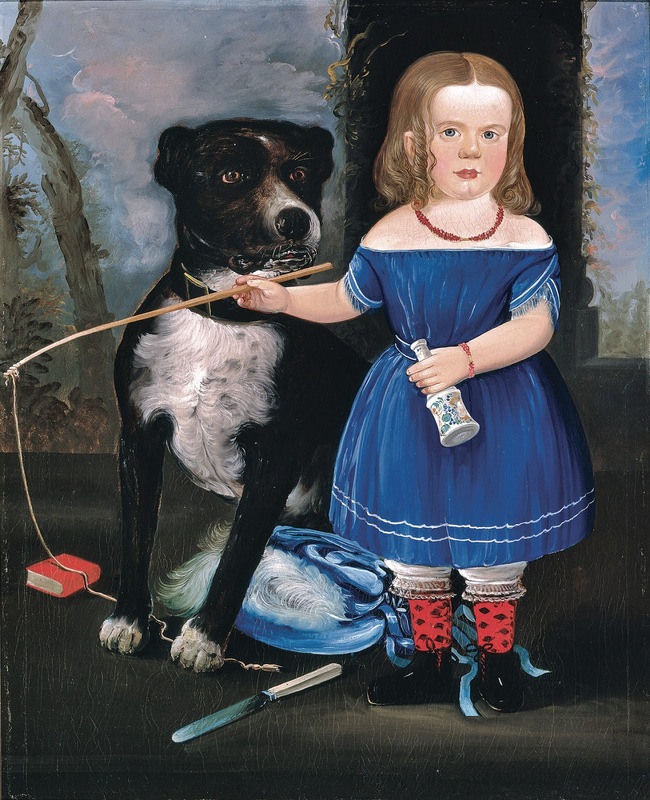 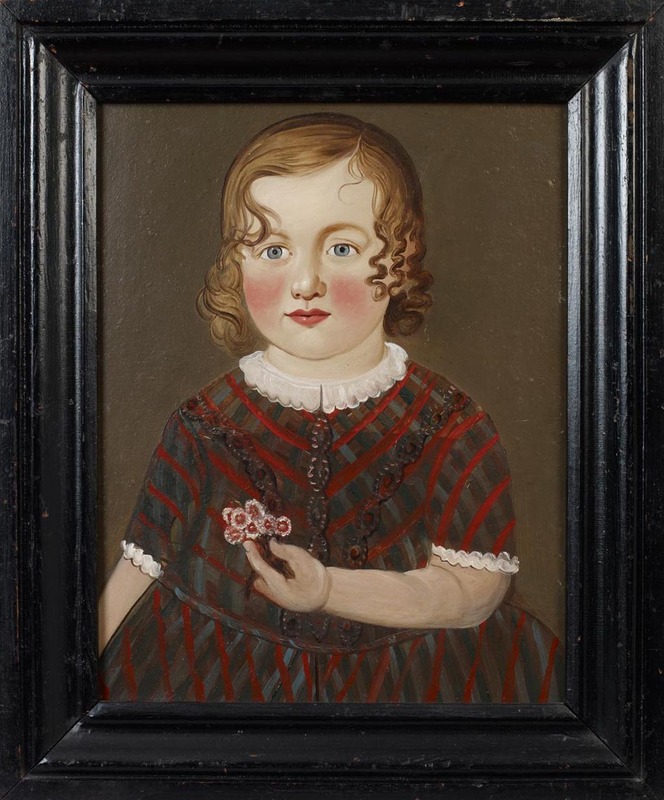 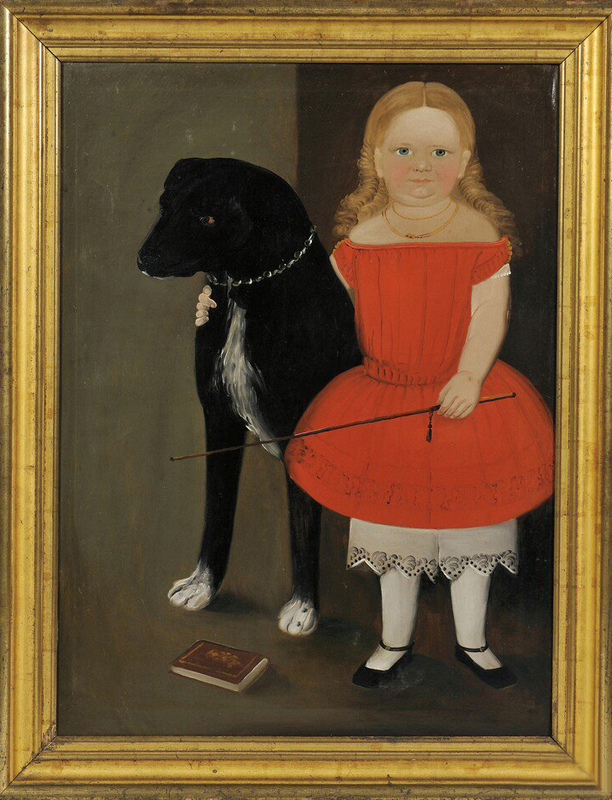 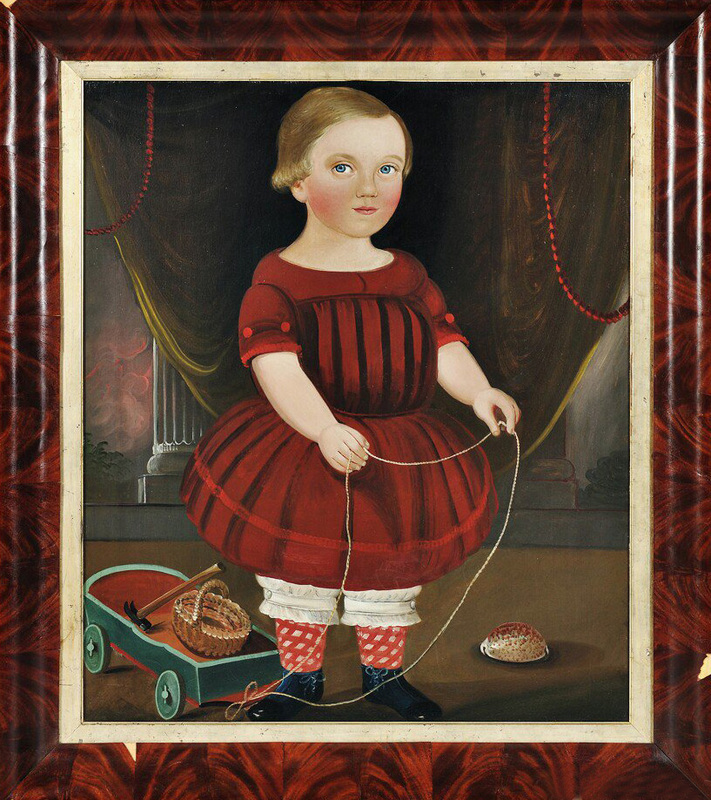 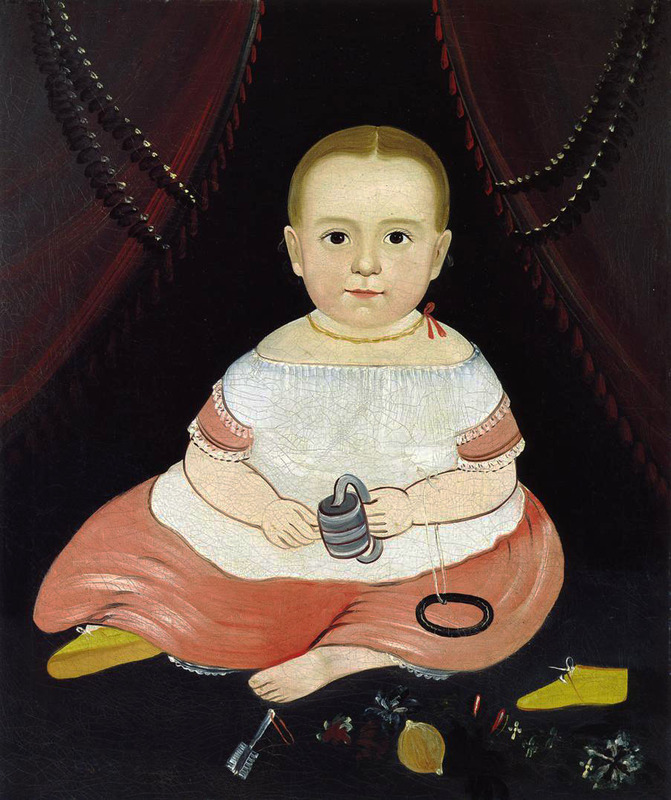 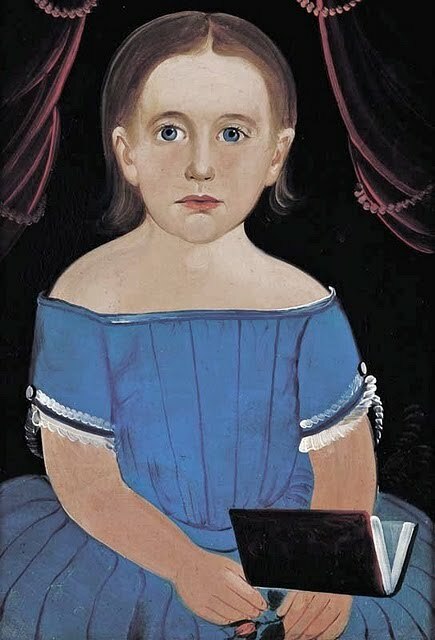 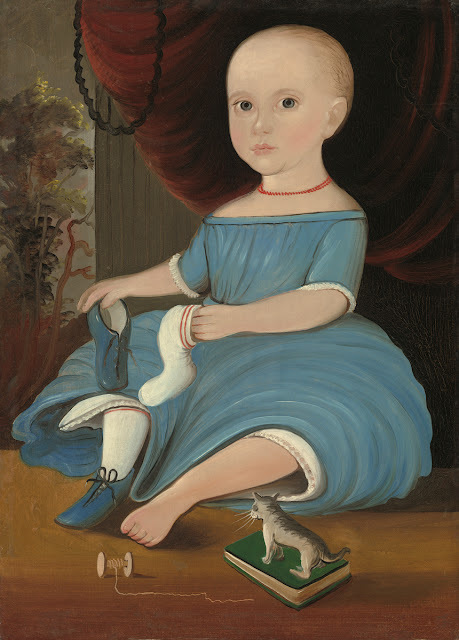 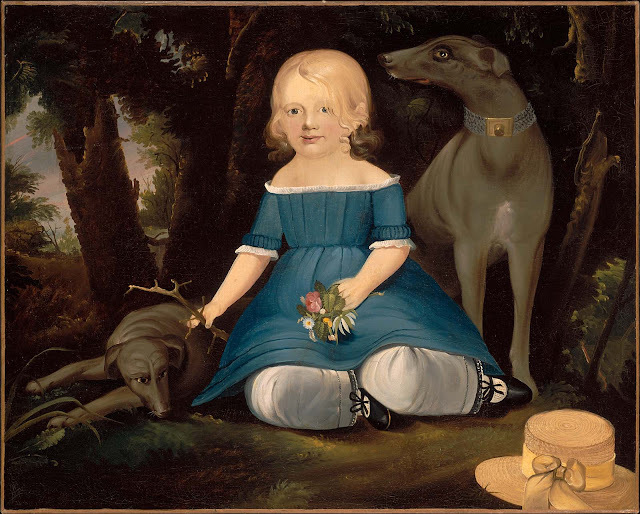 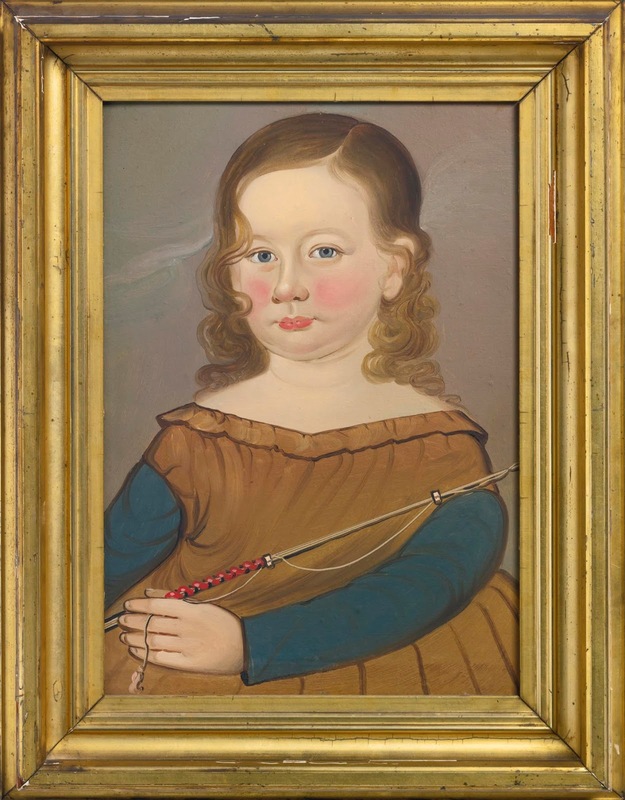 William Matthew Prior was one of the most complex and influential 19th-century portrait painters. 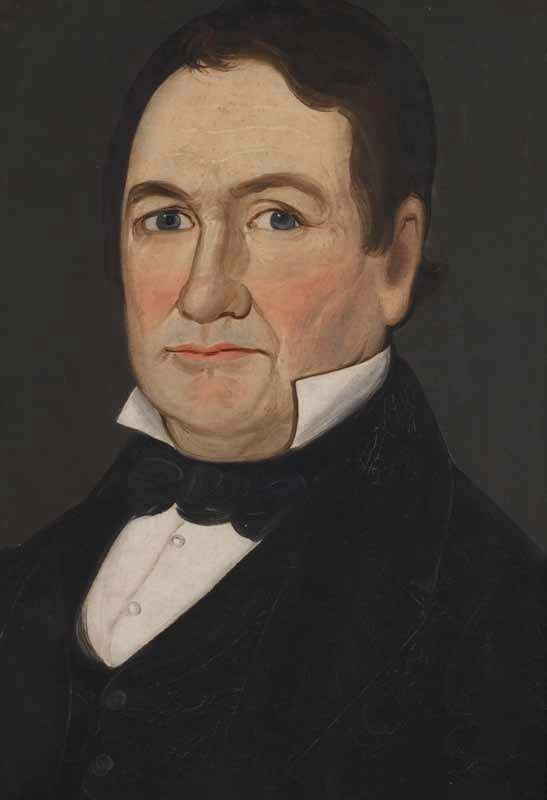 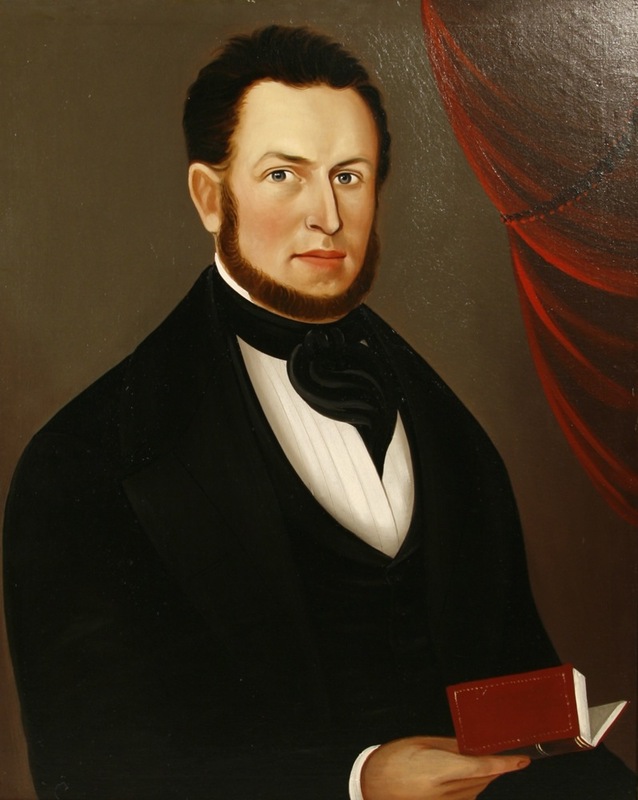 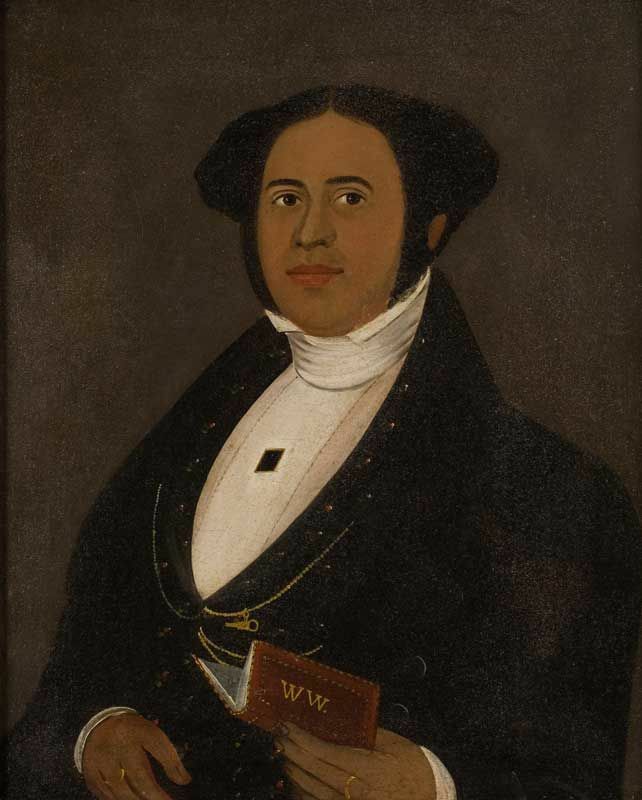 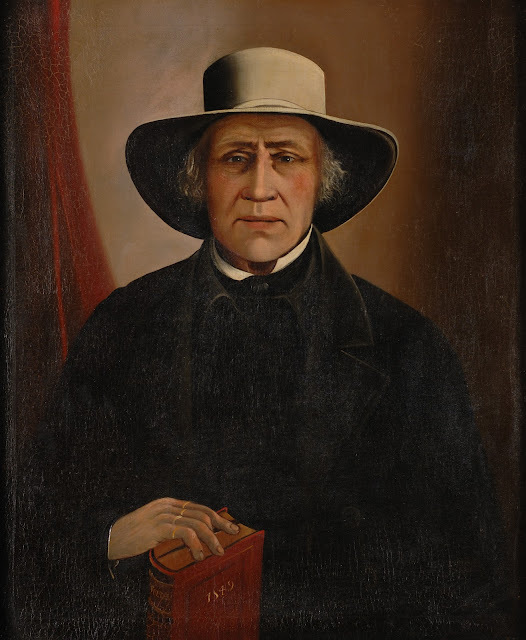 He was a follower of the religious leader William Miller (who prophesied the end of the world in 1843) and was an ardent opponent of the institution of slavery in the United States. 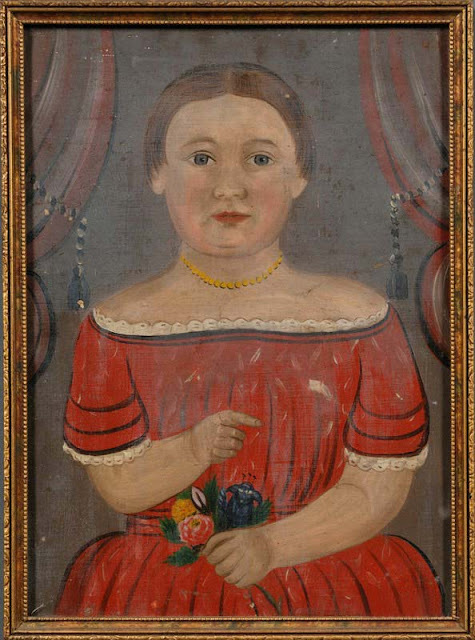 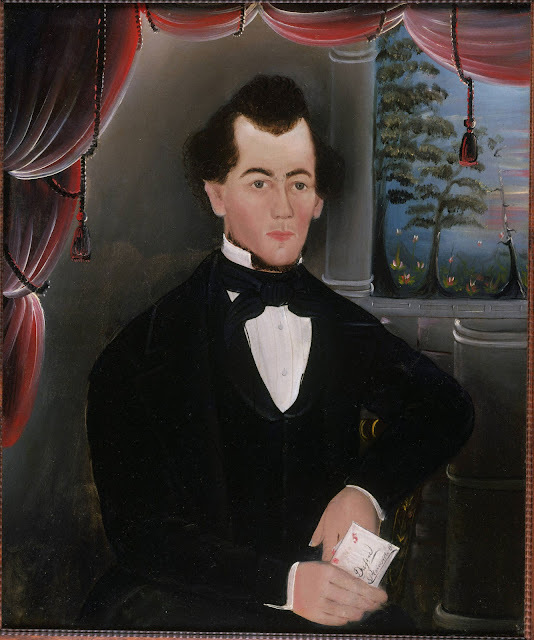 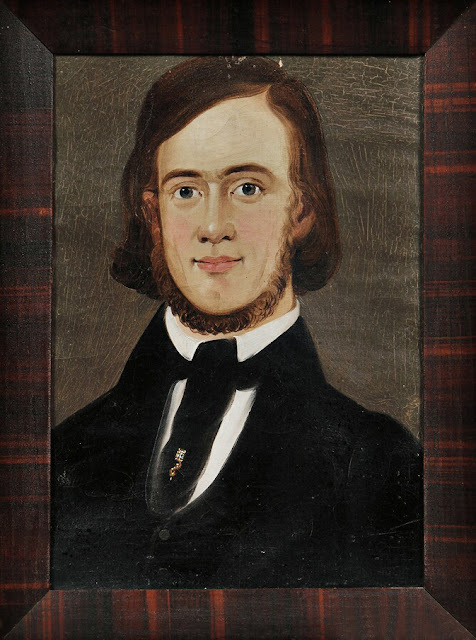 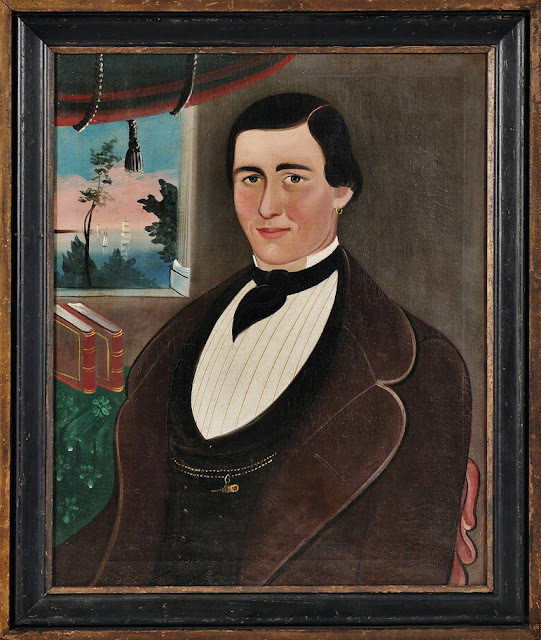 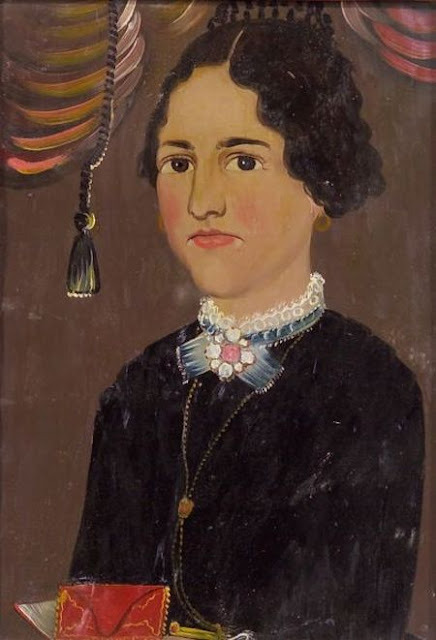 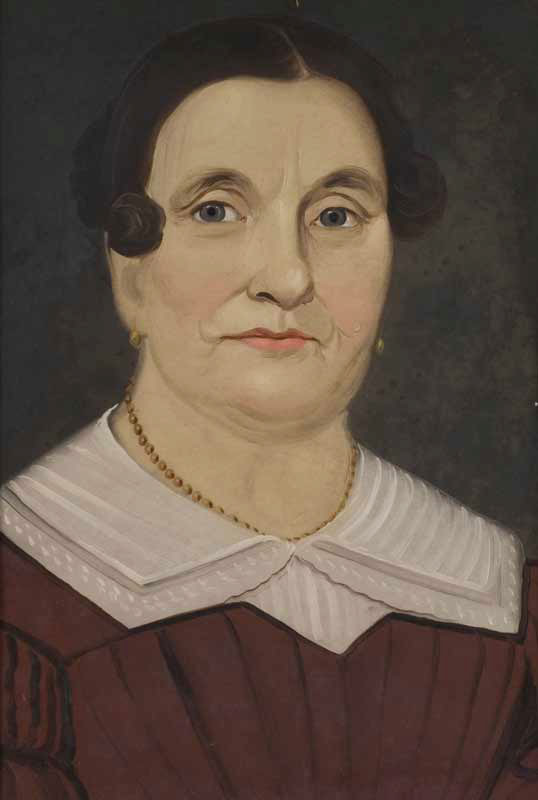 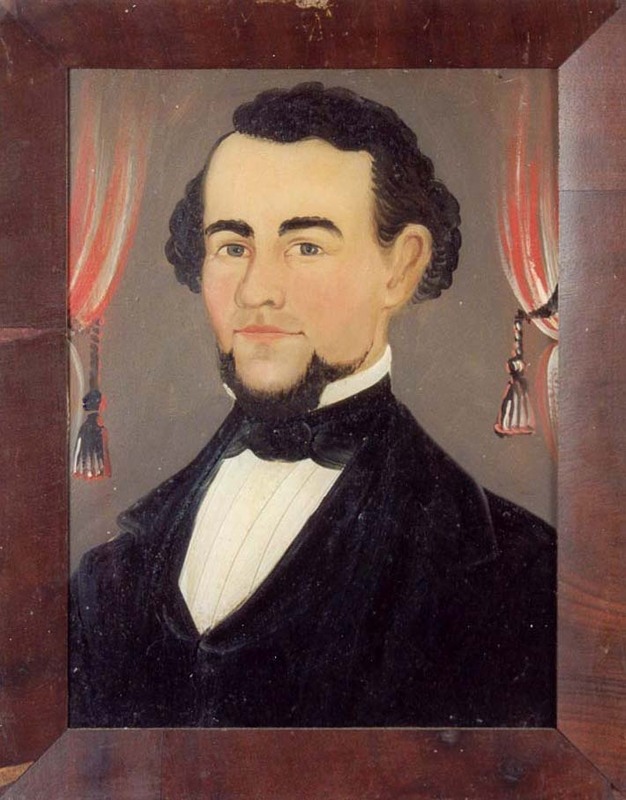 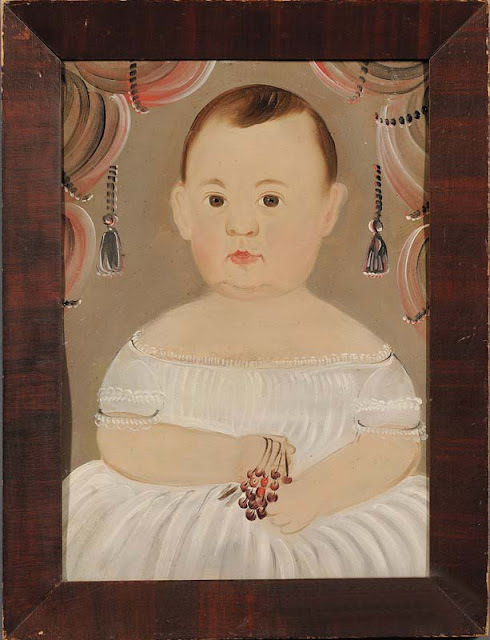 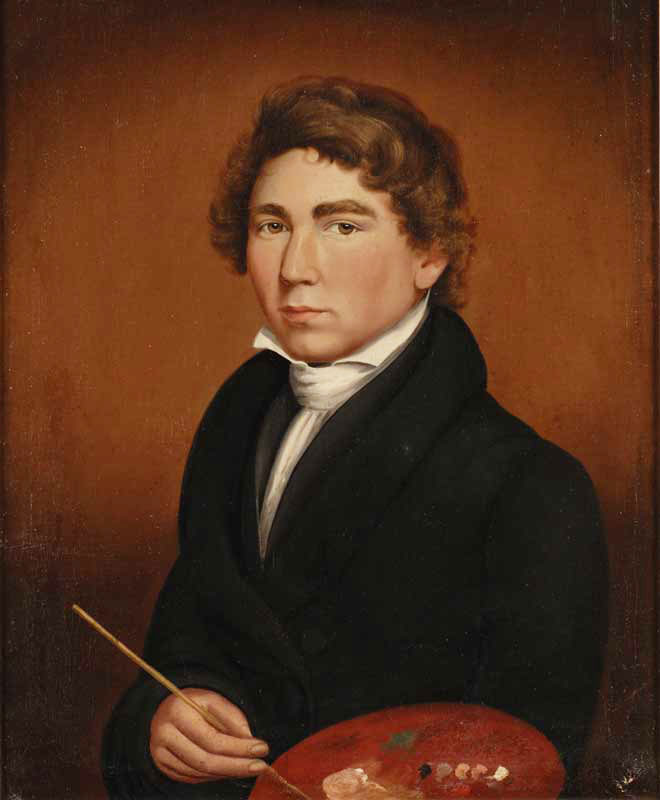 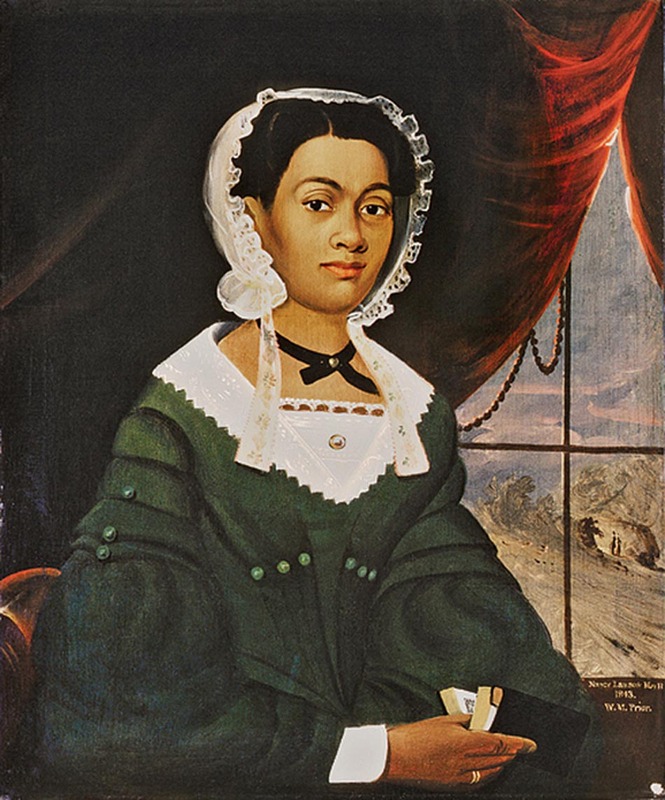 Prior also claimed to have clairvoyant powers that allowed him to paint portraits of departed persons he had never seen. 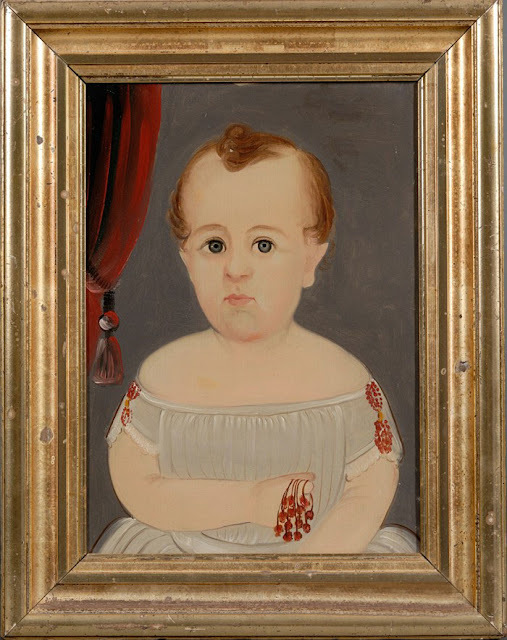 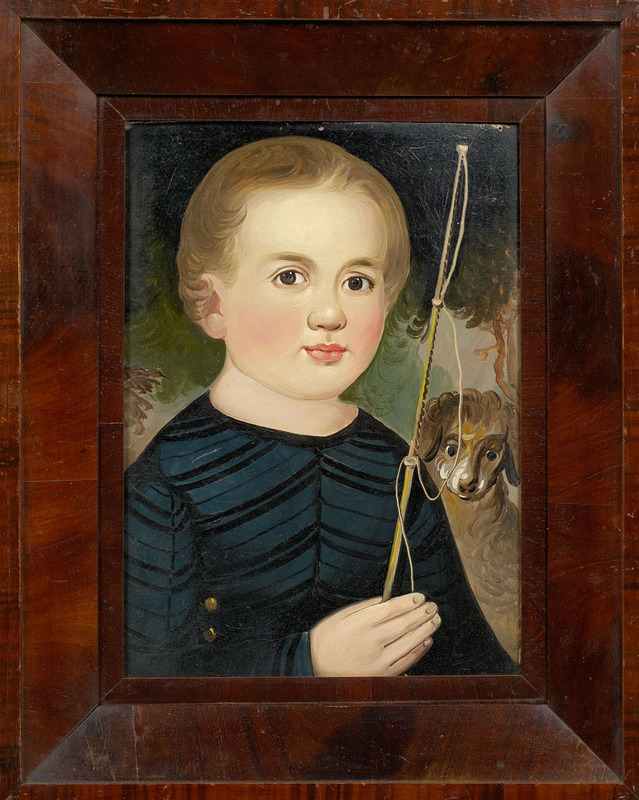 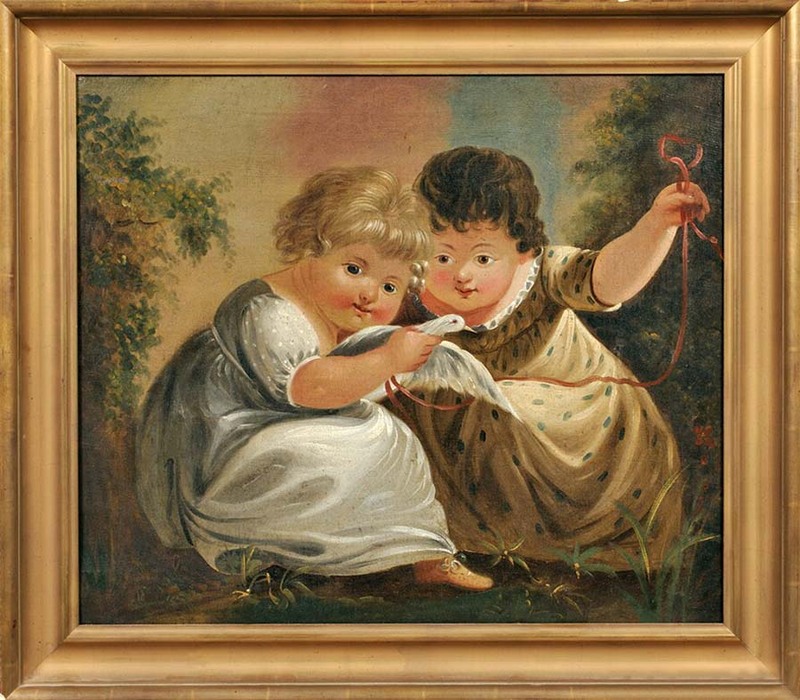 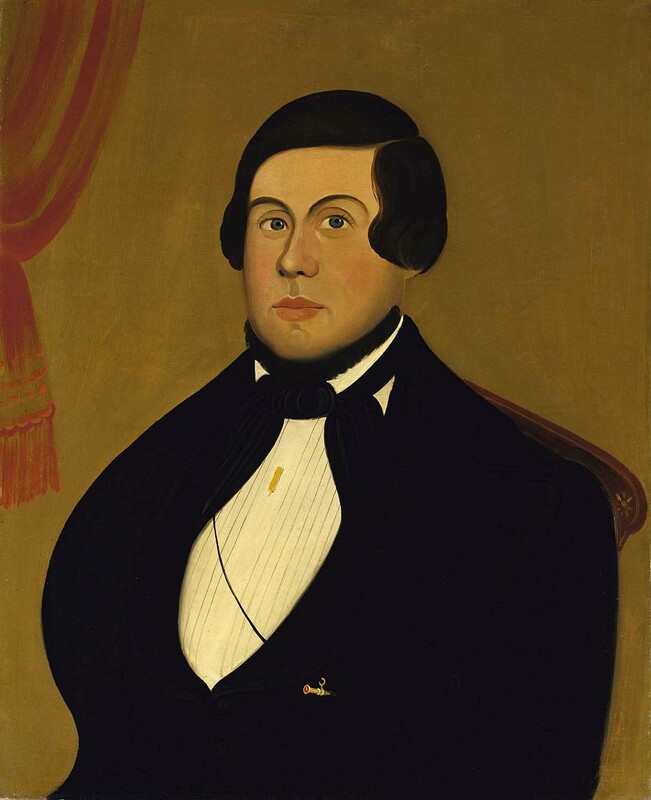 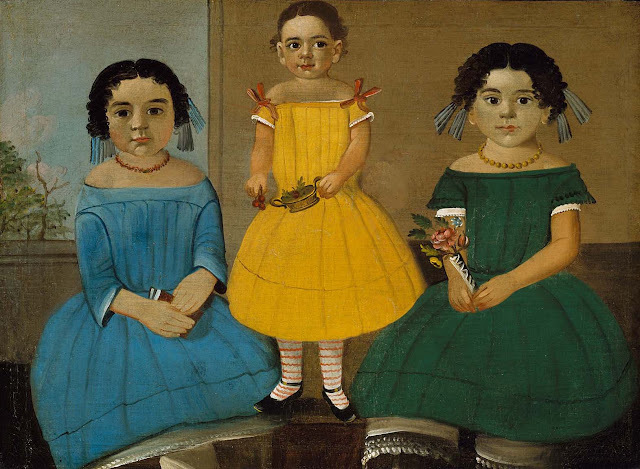 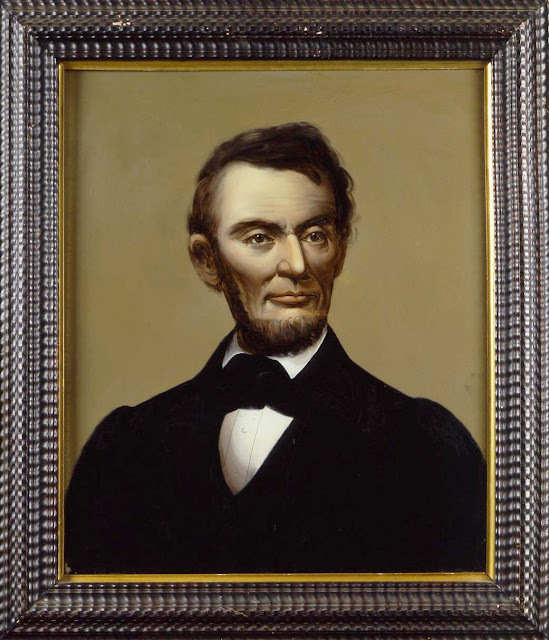 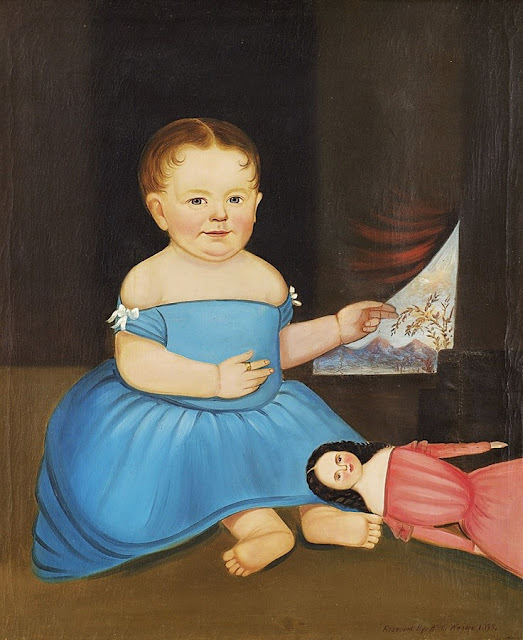 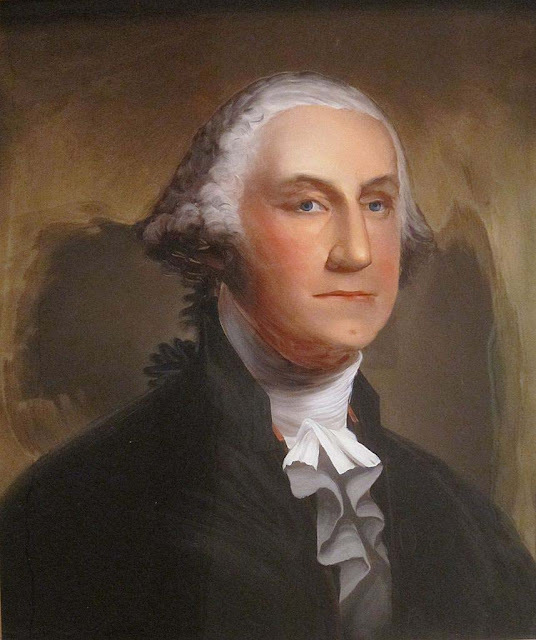 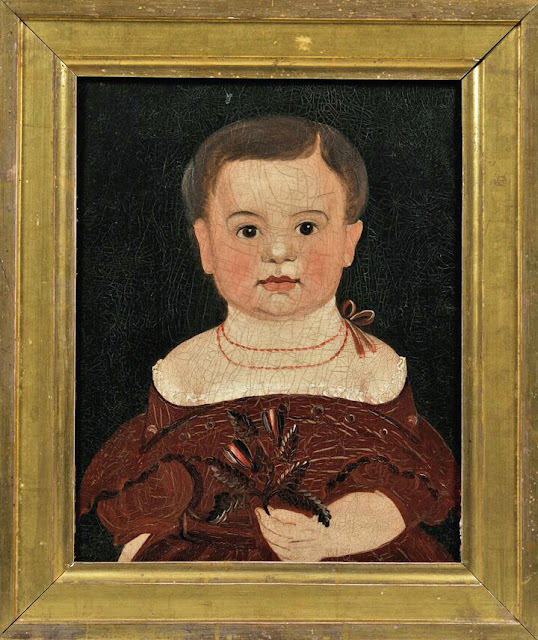 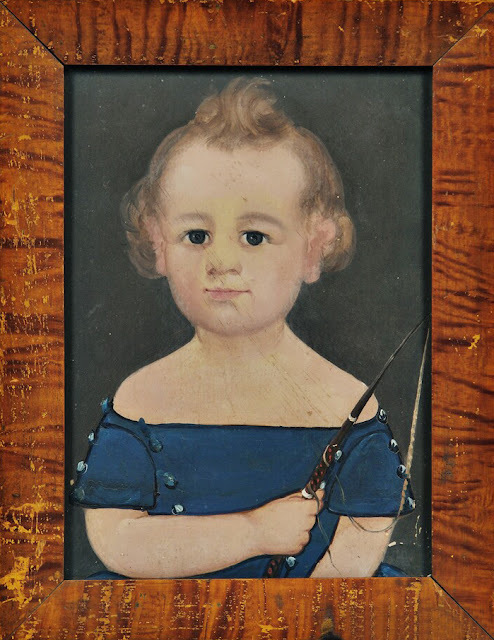 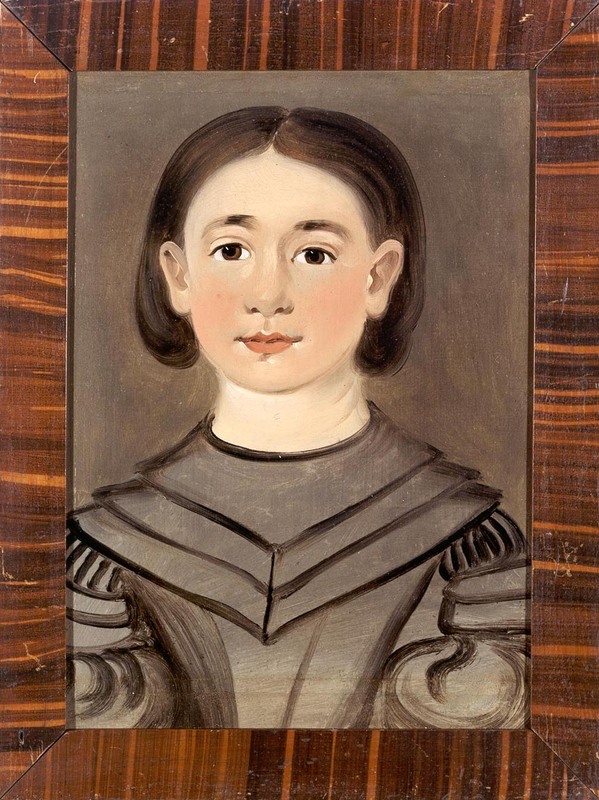 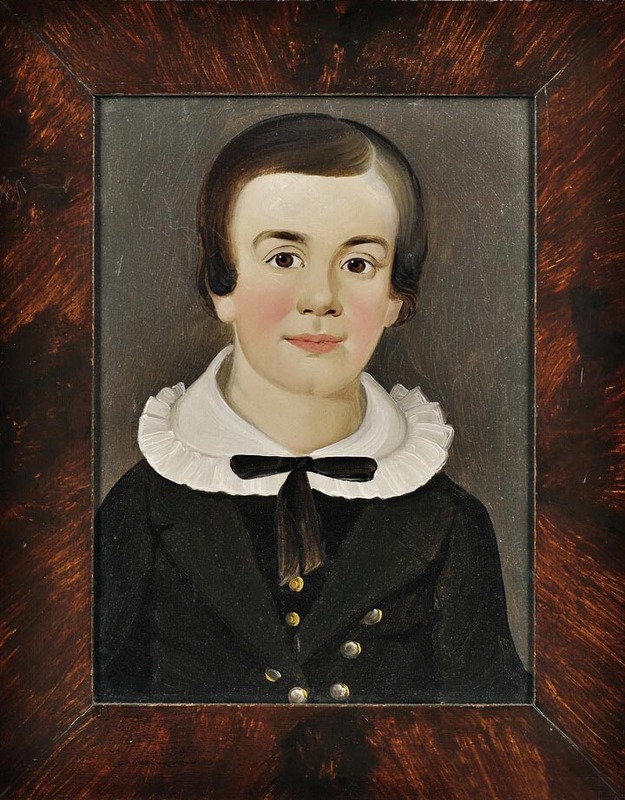 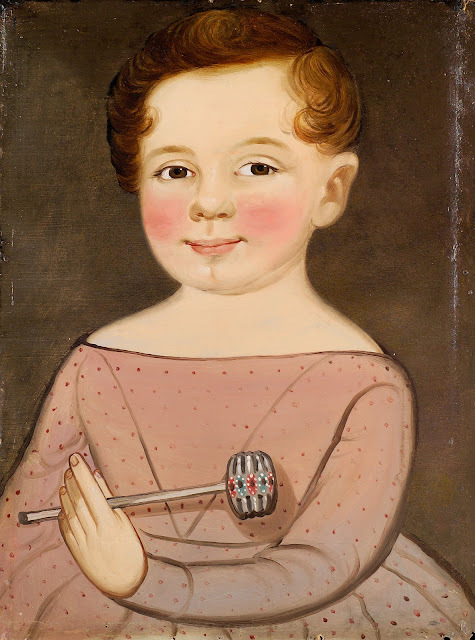 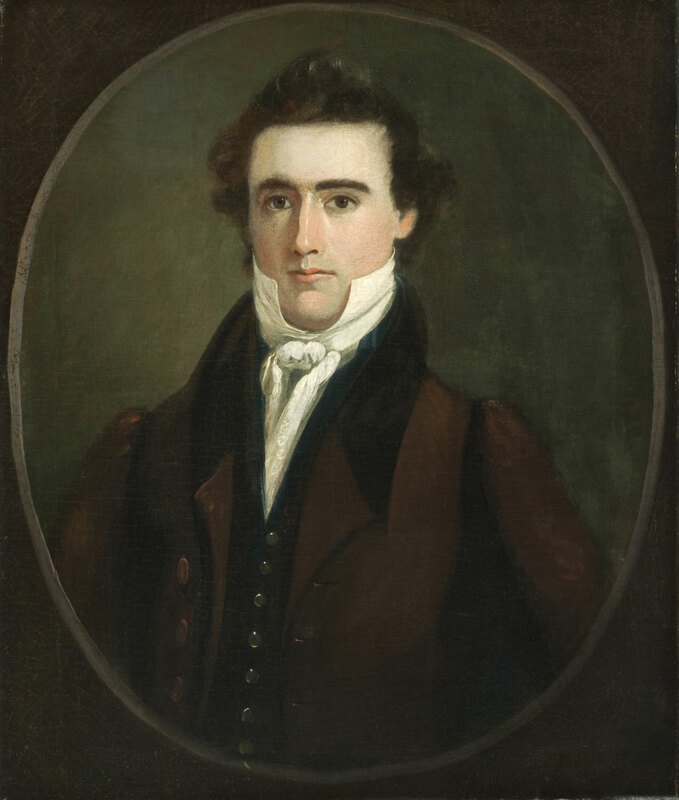 He is best known today for the development of a price scale whereby one could buy a large quickly painted, inexpensive portrait, or a more carefully painted example for more money. 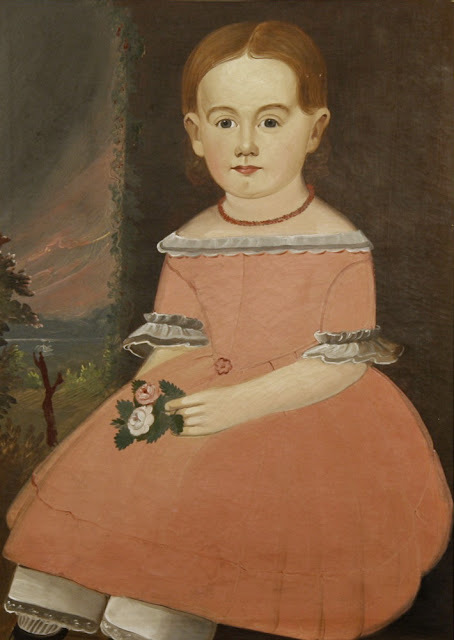 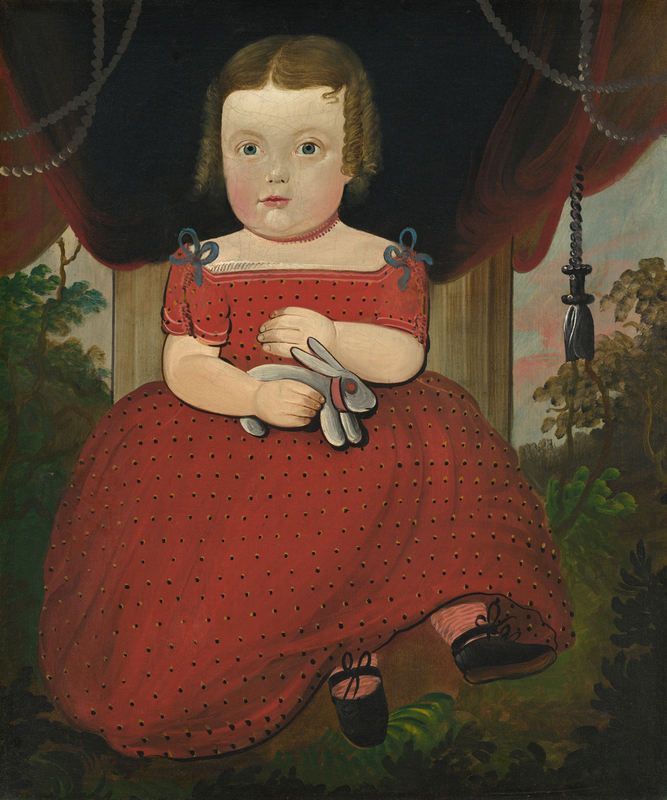 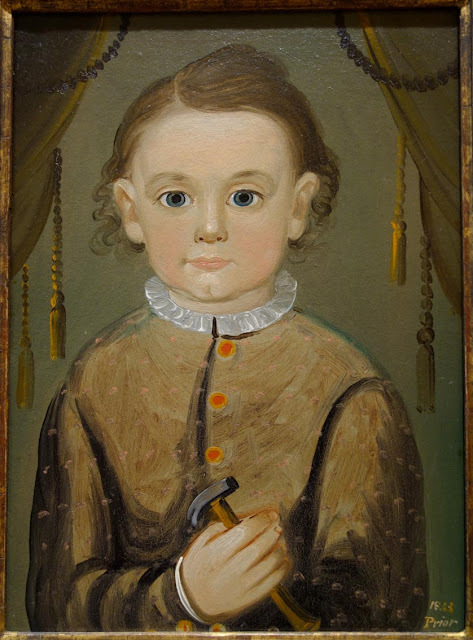 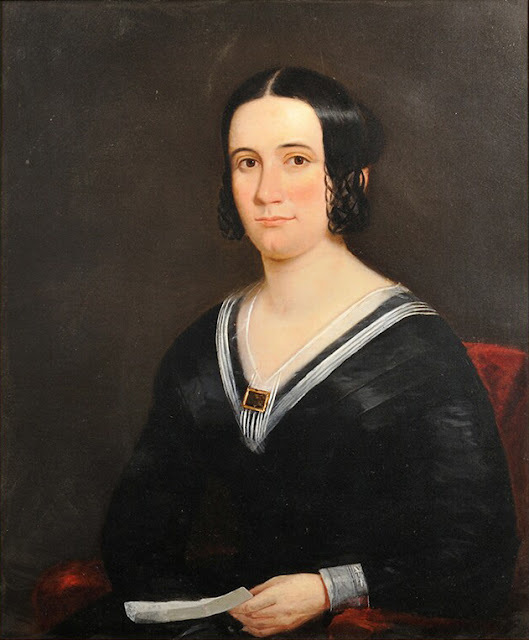 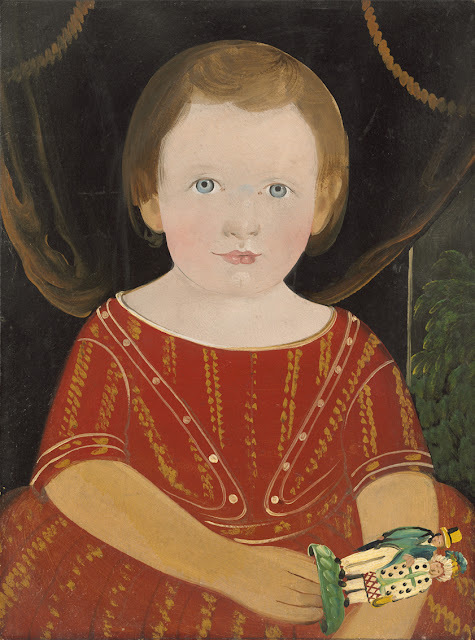 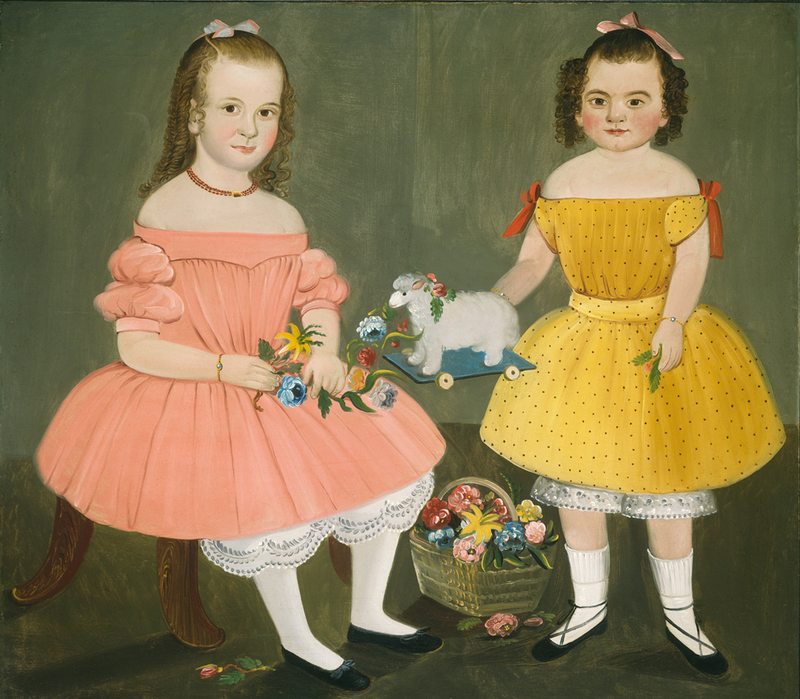 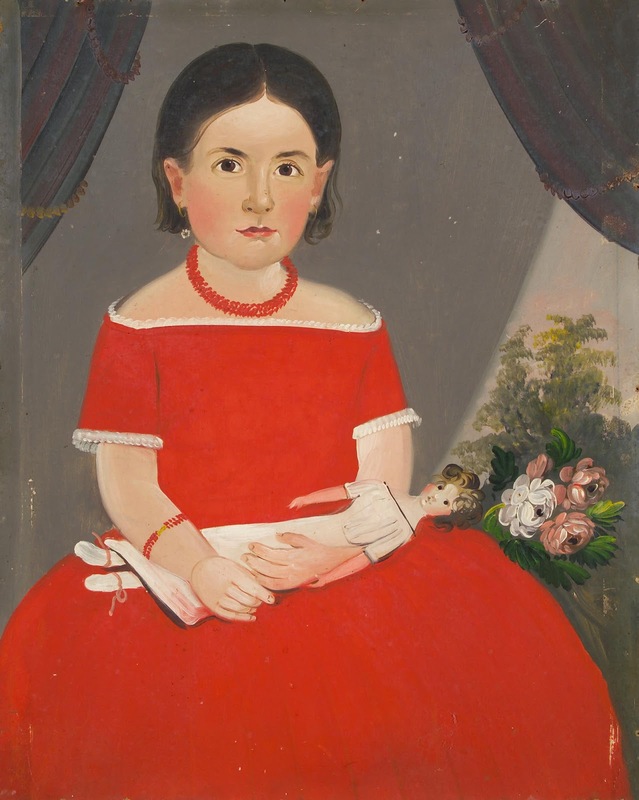 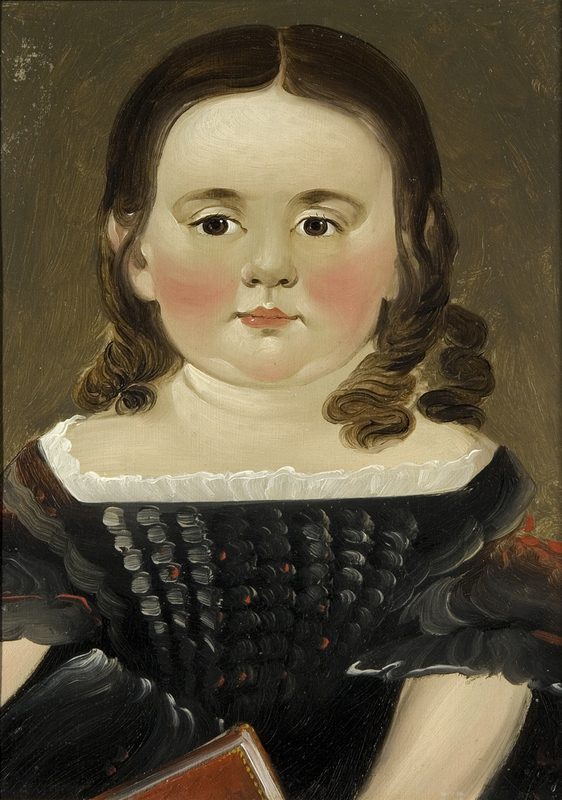 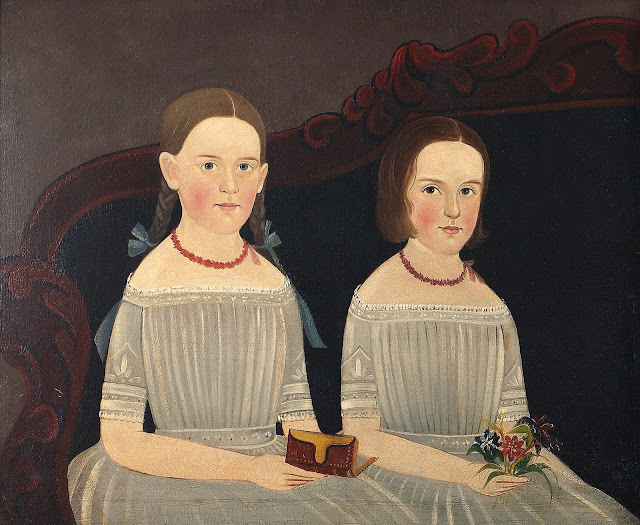 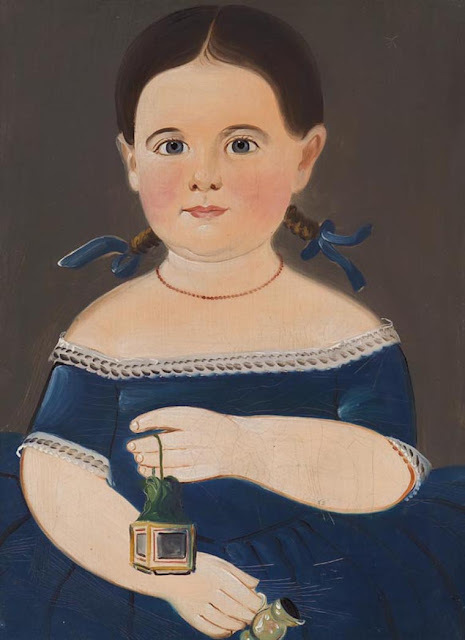 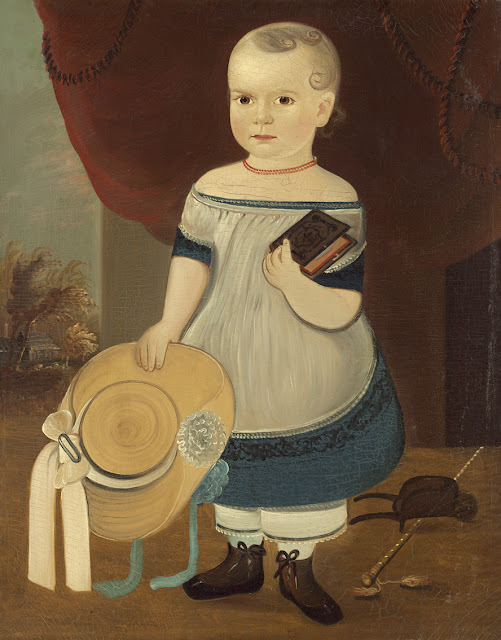 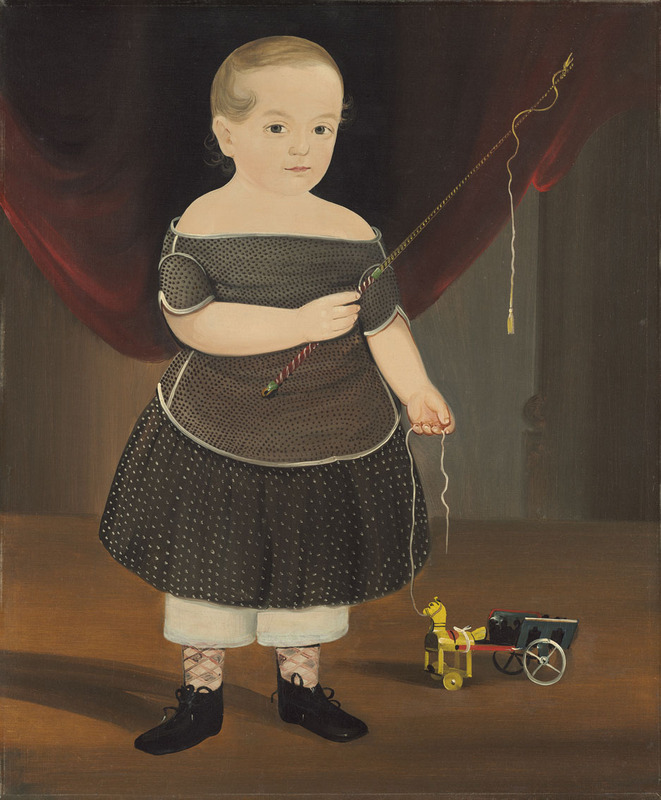 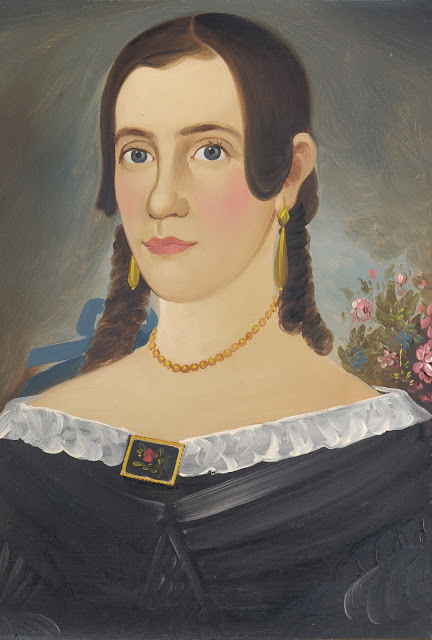 Prior's influence on other artists was extensive; he led the Prior-Hamblin school, a group of portrait painters bound by family ties and partnerships, who painted in his style. 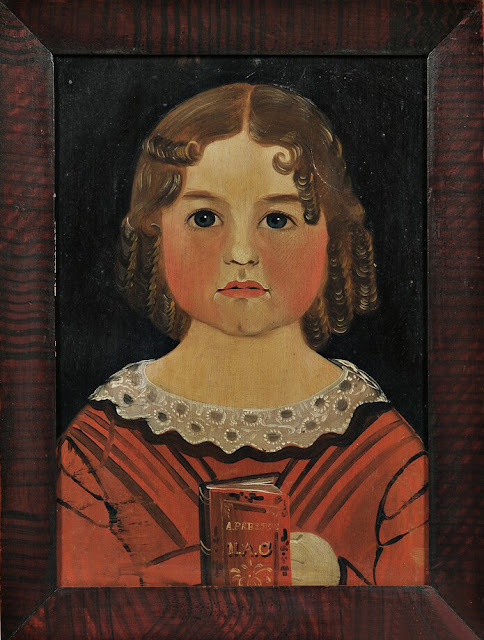 Inscribed "Painted by Wm M. Prior-of Boston. 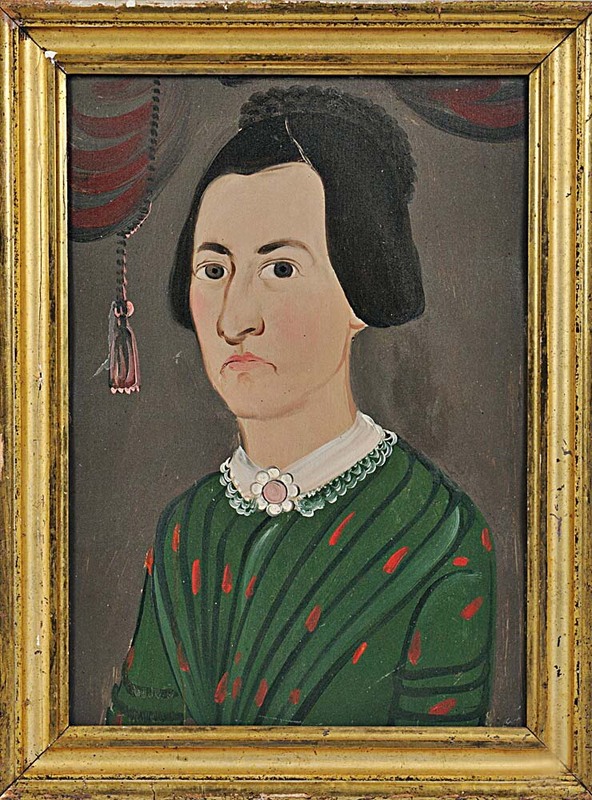 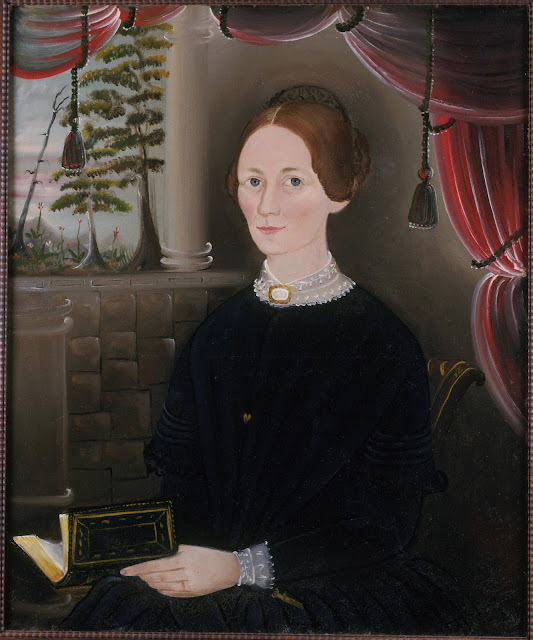 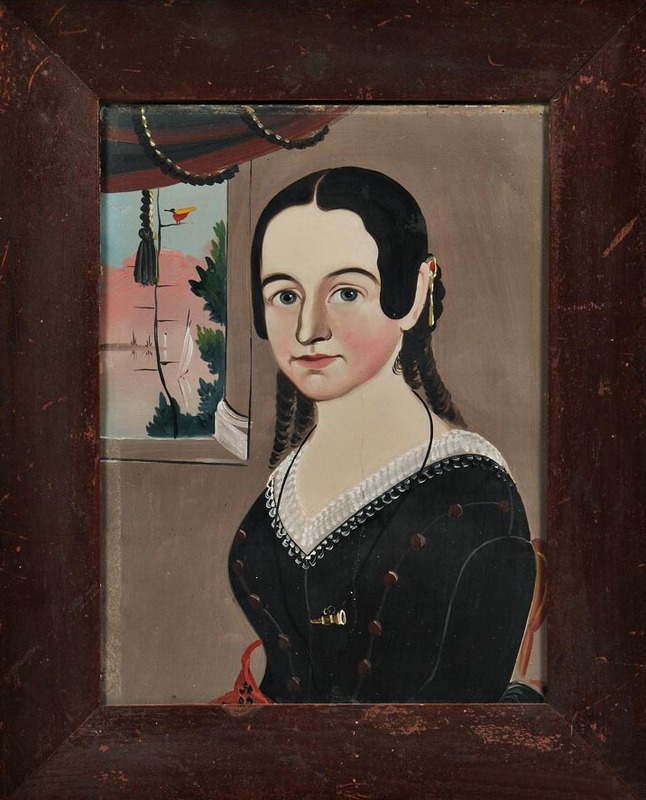 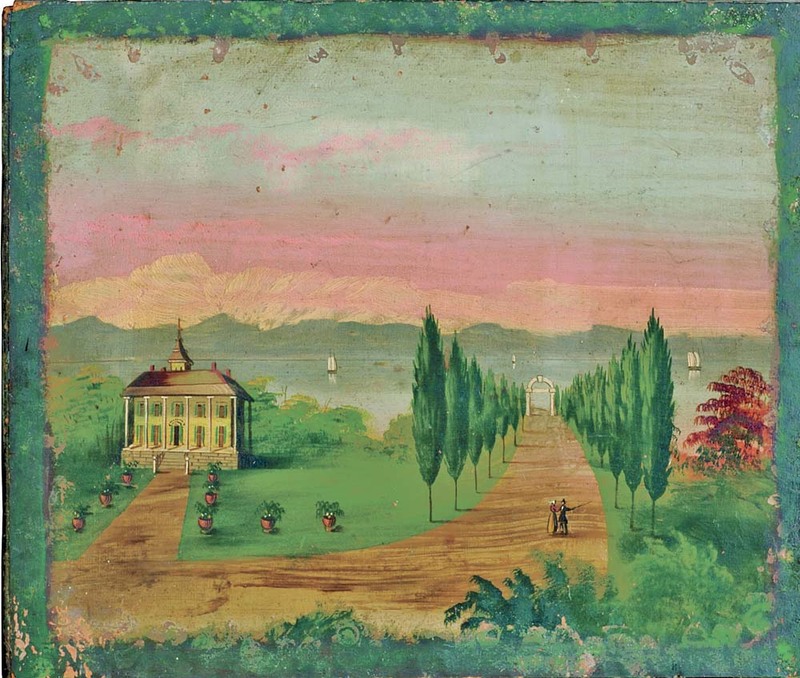 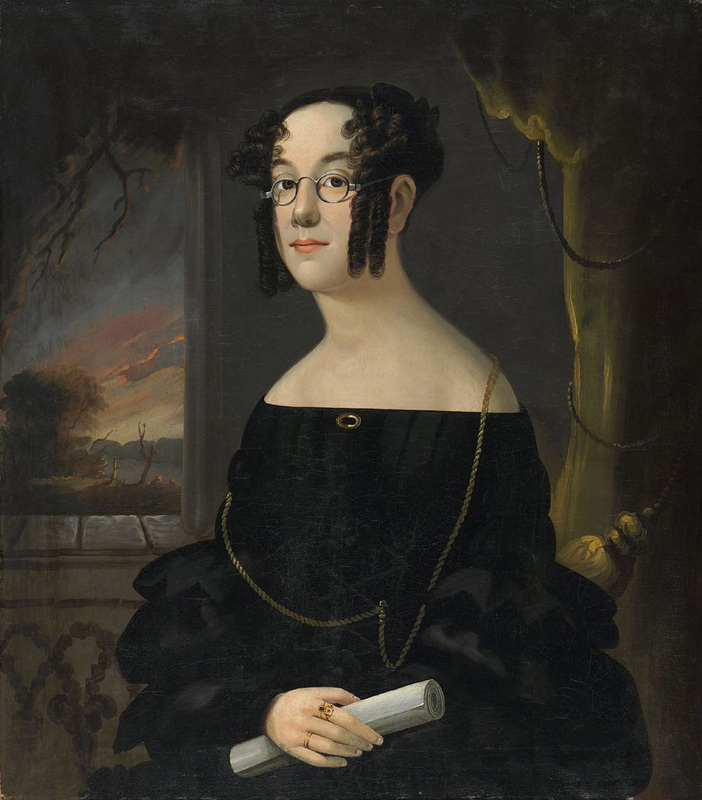 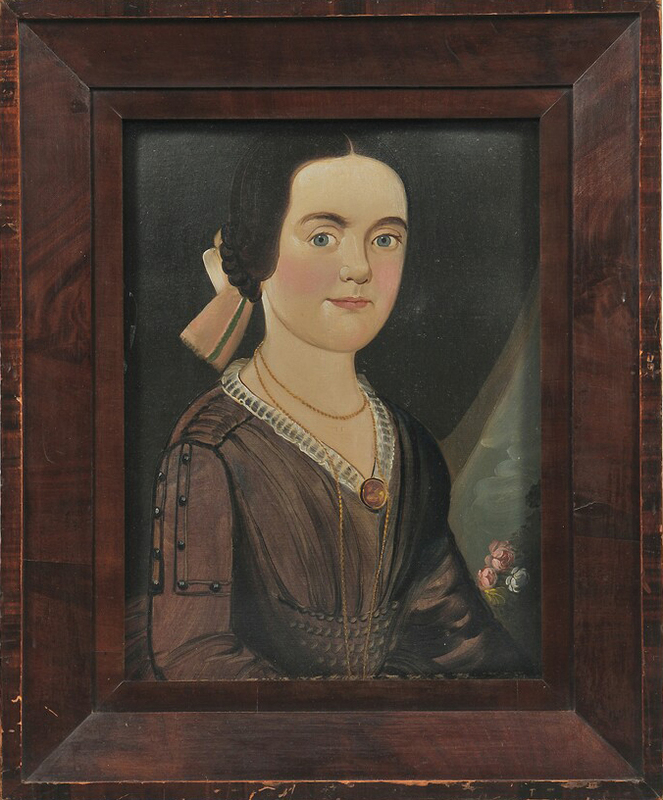 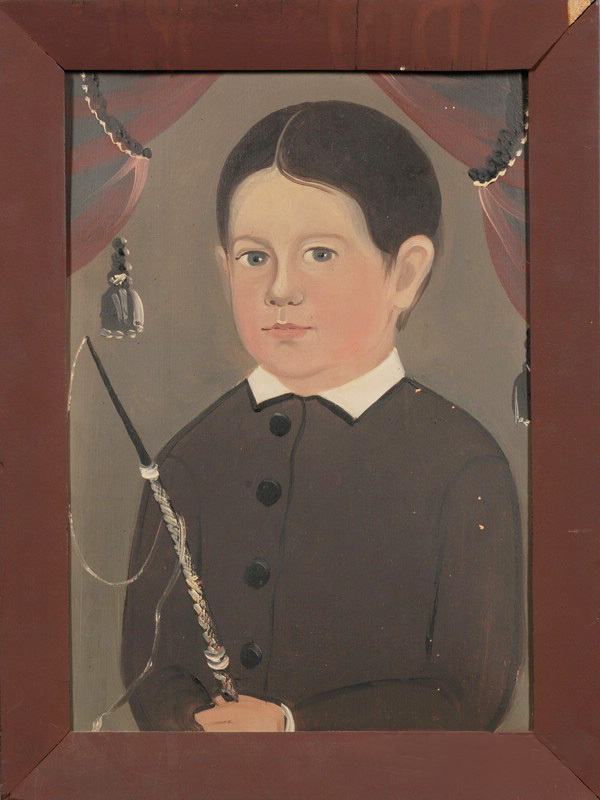 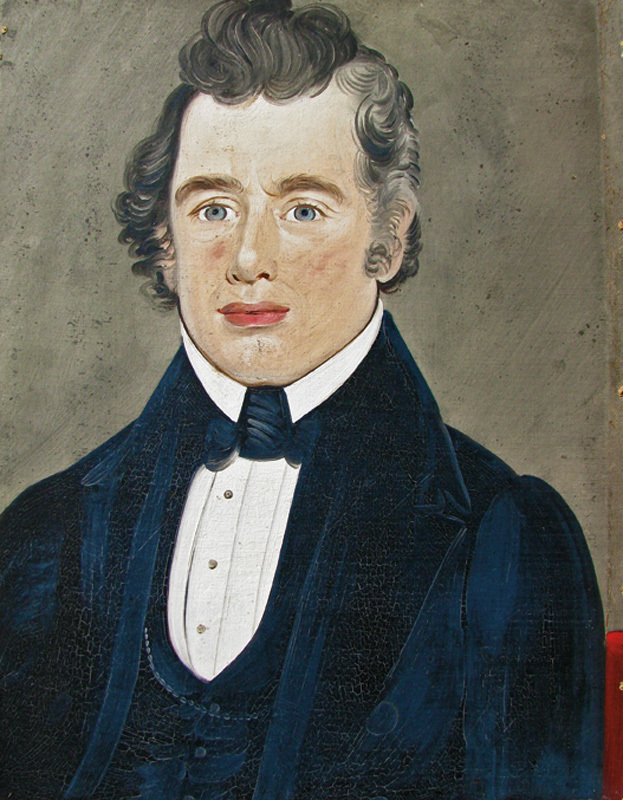 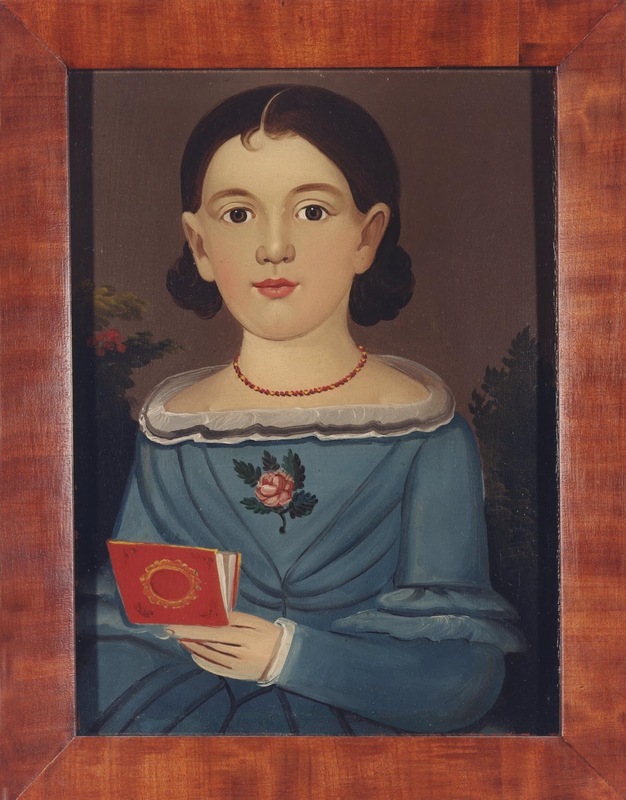 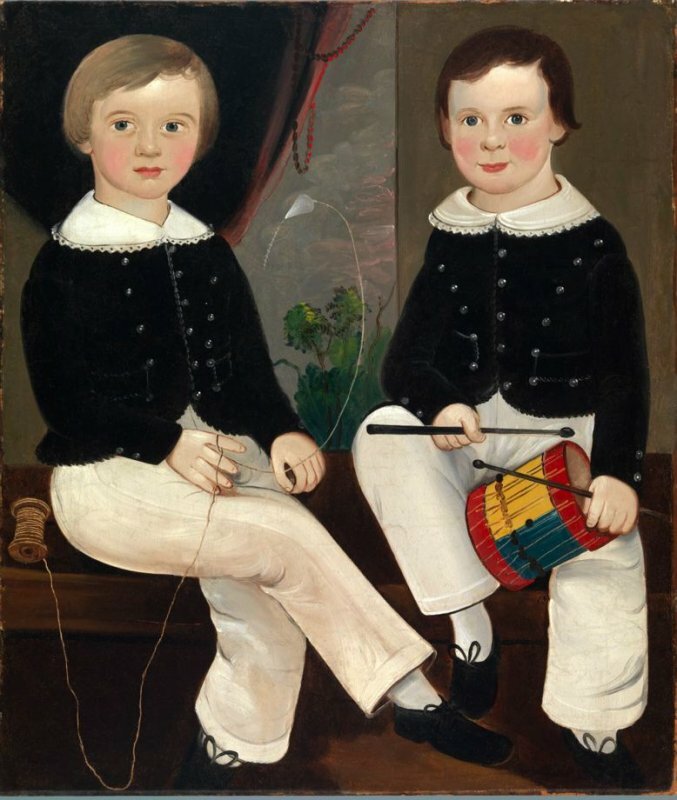 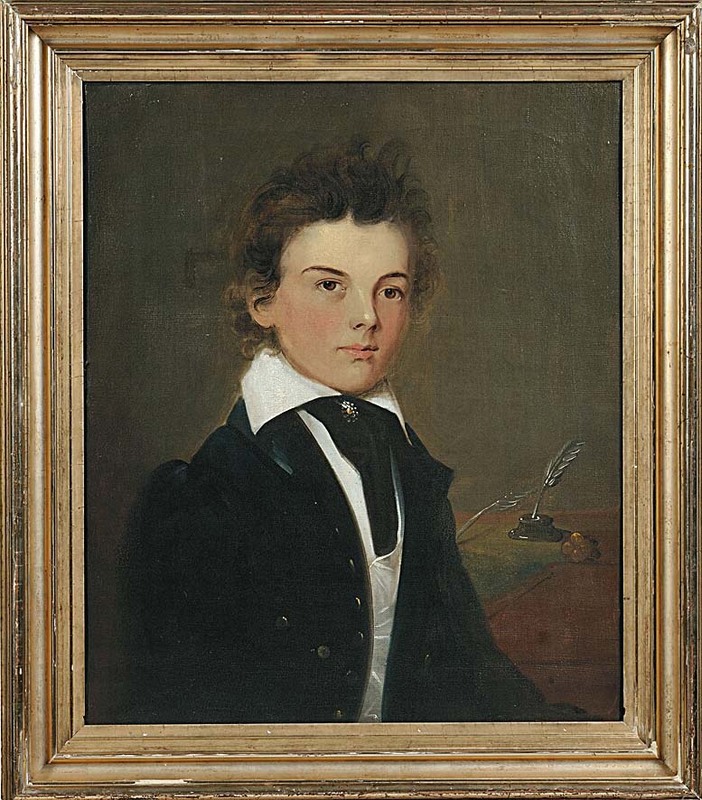 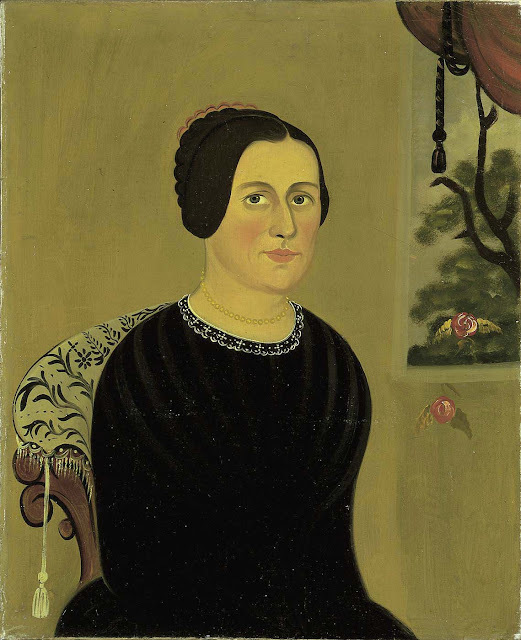 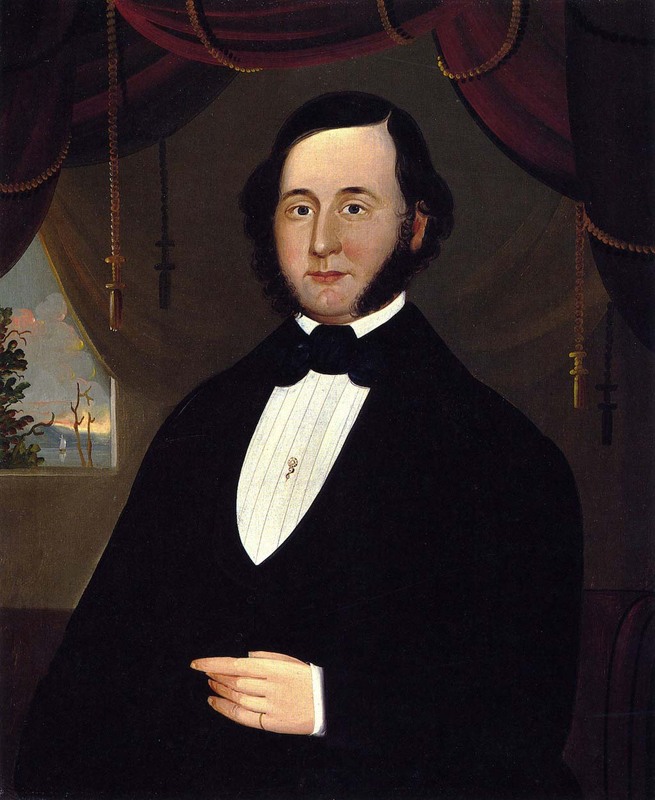 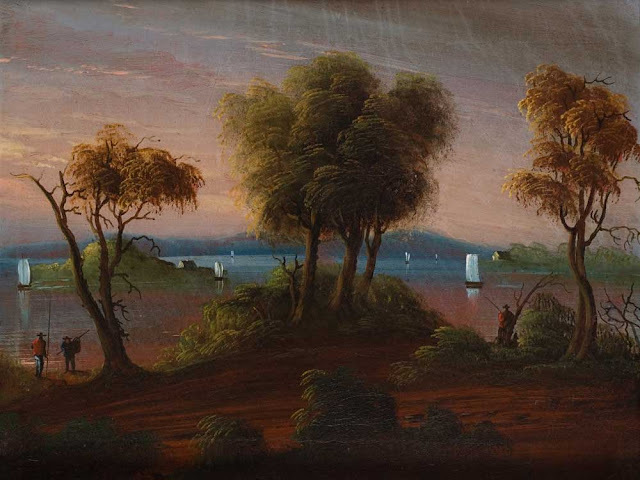 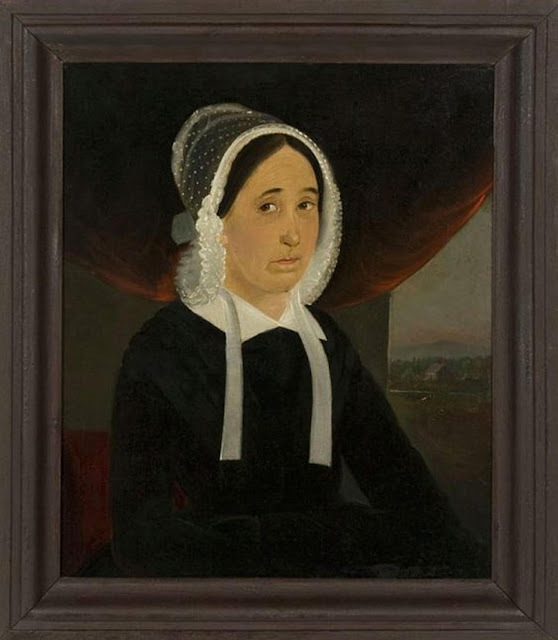 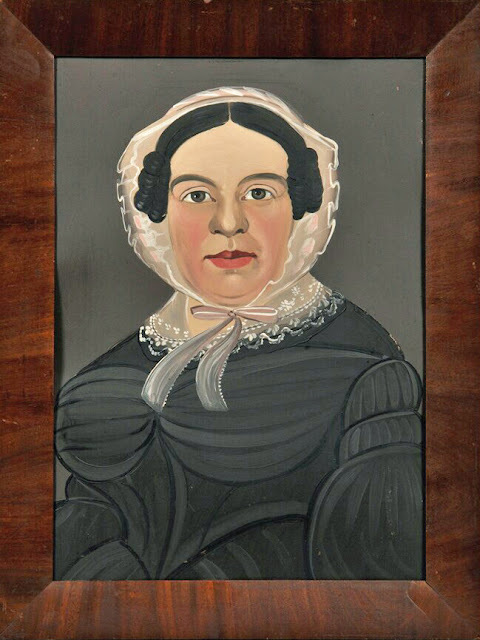 formerly of Portland Me.-Painted in Lynn Mass-March 12 1842."